Business as usual is ancient history. Large corporations, small businesses, entrepreneurs, and even CEOs and politicians must make the move from simply selling a product or service to delivering a mind-blowing customer experience. They have to learn to play at the level athletes and entertainers call stadium status. Stadium status is that elusive place every coach, athlete, entertainer, and performer strives to reach. It’s moving from being an opening act to the headliner, from performing on a small stage to the greatest stage in the largest venue possible: a sold out stadium. Everything starts from humble beginnings; talent and work ethic might get you in the game, but stadium status takes strategy – and that starts with a vision. John Brubaker shares his personal experiences as a successful radio personality, coach, and executive consultant, and reveals the strategies employed by country musicians, teams, and brands to build their fan base and separate themselves from the competition. He explains exactly how readers can implement these same tactics to achieve better results in their own endeavors. 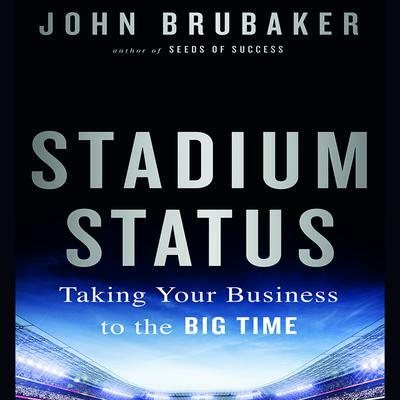 Stadium Status’ real-world examples demonstrate that gaining a fresh perspective and applying ideas from outside your industry are what will truly elevate your performance.